Winter in New England can last a long time. But rather than complain about the cold weather, take advantage of it with a trip to the mountains. Skiing is a great way to get outside, stay active and feel good about the cold season. Of course, graduate students sometimes have limited budgets and may not have access to a vehicle. 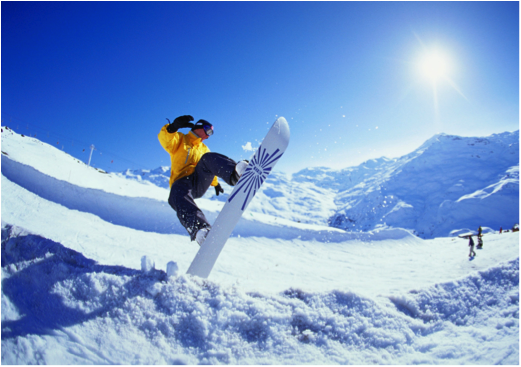 However, but with all the deals being offered in the Boston area, there are still plenty of ways to hit the slopes. For around $80.00 you can purchase bus transportation and a lift ticket to one of many New England Mountains with the BSSC. They offer trips on Wednesdays, Saturdays and Sundays. Buses depart from Boston, Newton and Woburn. With some lift tickets running around $70.00, these trips are a great deal. There are also discounted rentals with the club if you need equipment. Be prepared to wake-up early though! Buses leave Back Bay at 5:00 am. Check out www.bssc.com for more information. Riding the T to Ski! 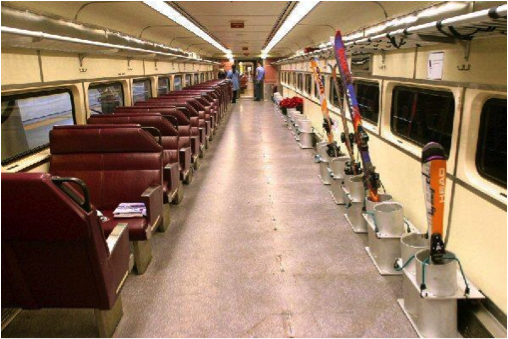 The ski train will take you from North Station to Wachusset Mountain on Saturdays and Sundays for $15.50 round trip, and is a great way for those without cars to get to the slopes. Once there, lift tickets at Wachusset run about $58 dollars. If you have Harvard Pilgrim HealthCare (the University’s student health plan), look out for Wachusset’s discounted ticket rate. The specific discount is yet to be announced. For all the skiing newbies out there, Wachusset also has a beginner package including rental, lesson, and lower lift ticket for $89.00. Lift tickets are quite the investment these days, but there are ways to score deals if you know where to look. Liftopia.com offers online ticket deals for mountains across the country. You buy tickets for specific days, which can be less than ideal if you happen to pick a rainy or icy day(for all you West Coasters—welcome to East Coast skiing!) If you have a ski weekend planned, this can be a great place to look for ticket deals before you go. Other online discount sites (like Groupon, Living Social and Eversave) occasionally run deals for local mountains and are worth a peek if you are considering a ski trip. Unfortunately, most student discounts in the area are for season-passes. If you aren’t looking for a big commitment, it becomes harder to find deals. I looked and couldn’t find any Tufts discounts at mountains, but it never hurts to bring your student ID and ask. Friedman will be planning a weekend ski trip to Sunday River, located in Maine, sometime in February. The mountain is about 3.5 hours away and has 8 peaks. The tentative plan is to stay at the Snow Cap Inn. For more information about the trip contact Laura Carroll, Laura.Carroll@Tufts.edu or Lauren Parks, Lauren.Parks@Tufts.edu. I’ve had many conversations with a range of Friedman students, some of whom have never skied before and some who are experts. I would encourage you to chat with your fellow Jumbos and take a trip to the mountain. There is no better bonding experience than bundling up, swooshing down the slopes, and enjoying a cold beer or hot chocolate afterwards. Enjoy!